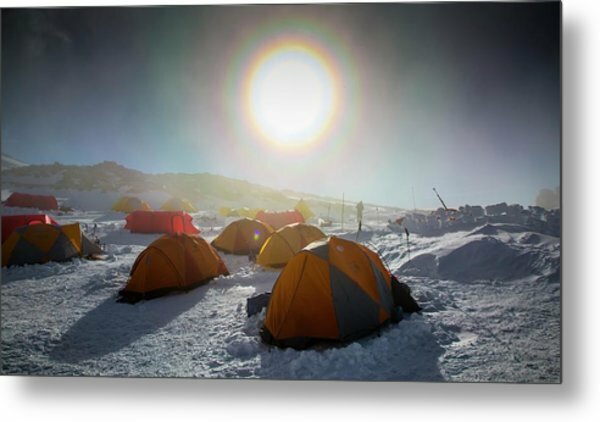 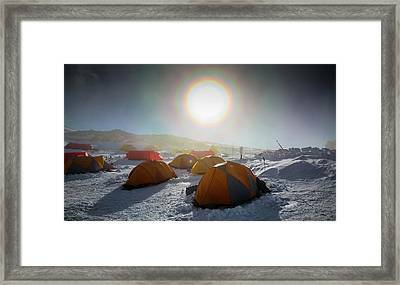 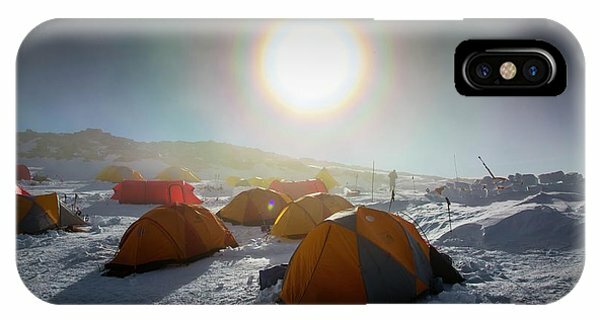 High Camp is a photograph by Peter J. Raymond which was uploaded on July 24th, 2016. 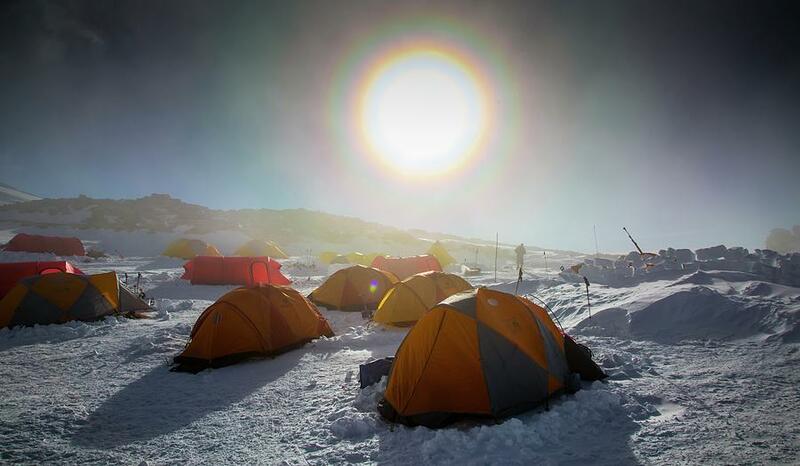 Mountaineers High Camp on Mt Vinson (4892m). The photograph was taken at 2am and shows the sun low in the sky with a halo caused by ice crystals around it. 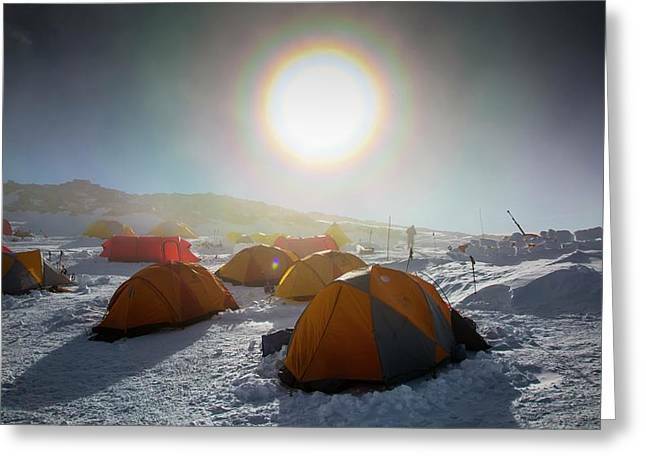 Mt Vinson is the highest point in Antarctica, and is the most remote of the seven summits, being 1000km from the South Pole. 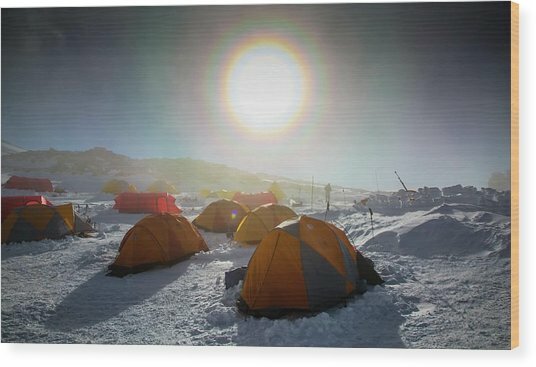 There are no comments for High Camp. Click here to post the first comment.